Okay, I know I already wrote about buying a car for my daughter, but we're revisiting it today. Yes, my Mechanic said not to buy a Volkswagen, but that's what we did. He checked it out (and scared us half to death on the freeway "testing" its -- and our -- limits). He said it was a sound car except for the leaking gasket seal, an inexpensive part. So I felt better about getting the car. It looked good, it had everything my daughter wanted (we didn't know the MP3 Aux cord was broken.) And even though she promised to "test drive a lot of cars," she only drove several used VW Jettas, a used Prius and a used Subaru Legacy (which was too much at the time). New cars, she tried the Kia Soul, and a Hyundai. We had Subarus, so she was familiar with them and would have been happy with one, but they weren't in our price range. So we got the small used car dealer to lower the price to cover the cost of the repair and got her the 2008 Jetta Turbo with 80K miles, (Note I said Turbo). When we took the Jetta to our mechanic for the gasket leak repair and oil change. Which ended up being more like $450 instead of $250 -- did I tell you they are difficult to work on? The part may not have been expensive, but the labor was. Still, it was a good deal according to KBB. Not very economical, as we found out - did I mention it's a Turbo? They don't get good gas mileage. Still, my girl was happy, and the car looks great and seems pretty safe for a small car. So she drives it everywhere, picks up friends, drops off friends, goes to college, goes shopping, goes job hunting -- since the seasonal job (which said 15-20 hours a week) only gave her 5 hours a week. Season ened, so now job hunting every week -- good interviews, but no job yet. I am paying gas, insurance, and car payments. Then a fix engine light comes on and back the Jetta goes to our Mechanic. This time it's another $550 - - new battery. 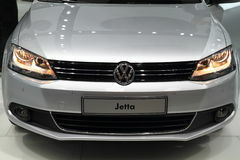 Now the Jetta has cost $1000 more than the $10K to buy it (including forget tax and licensing.) Gone are the days when my Dad got my brothers and I old junkers to drive that he could fix himself. Then -- Happy Day -- I received some inheritance money and paid off the car (thank you Dad). So now I just have gas, insurance, and maintenance to pay for, as my daughter continues to look for work and drives everywhere. I almost forgot the broken MP3 Aux situation. Her new boyfriend graciously got her a new radio with Aux and Bluetooth for Christmas, so she's happy. However, one night they forgot to take the faceplate off the new radio, and friendly neighborhood thieves broke her window, took the new stereo, and I had to pay $215 for a new window. A new stereo (with Aux and Bluetooth) will be her birthday present. Are you adding this up? Now we're up to $1215, plus another $200 for the Stereo. And guess what, the engine light is on again! What will it be this time? Should we take it back to our Mechanic, who hates VW's almost as much as I do? Or should we take it to the VW dealership? They would be used to working on Jettas, so the hateful vibes wouldn't be there, but would we get a good deal? Probably not. My daughter is now wondering if maybe she should have gotten a more economical Toyota like one friend did. She saw an offer for $19K for a brand new one, $17K for gently used. Wouldn't I just love to get that lovely new car, with the new car smell, and the new car warranty for her? Yes, dear, but first you have to get a job, then you sell your Jetta, then you take out a new car loan for the difference (tax and licensing makes it more like $14K), No, I'm not selling the Jetta. It's the car you wanted. It's paid for. And very soon I think I will have paid for and fixed just about everything, right? There are lessons that 18-almost-nineteen-year-olds have to learn. Some of them are harder than others. It's too bad about the additional expenses. While the dealership did tell you about the leaky gasket seal, they should've told you too about the old battery; they could've given you the car with a new seal battery, since they should've already taken care of those, anyway. Cars inevitably break down at some point, which means it's time to allocate some money for repairs. It seems like you ended up paying higher than you expected. Anyway, it can be really hard to decide, especially when it is the one that caught your daughter’s interest. People might say that this is convenient or that is efficient; but at the end of the day, it all boils down to personal preference. The only consolation is that it taught your daughter a good lesson when it comes to shopping for a car. That is a lot of problems for just one car! But it’s nice to know that your daughter knows what car she likes, and that made the shopping faster. However, the leaky gasket seal should’ve been the red flag that you had to check the car for other problems. Anyway, I do hope you’ll be able to use those experiences if you need to buy a new car in the future. Have a great day!